Tyzack Broad Heel Trowel 11"
Pre-worn to professional standards. Protective lacquer coating on the blade for rust resistance. Carbon steel blade has a positive camber for easy application, which is hardened and spring tempered for optimum rigidity and flexibility. The blade is also cross ground for easy material flow and reduced drag. The edges are pre-worn to eliminate line and ripple marks. Lightweight yet strong die cast aluminium tang has a specially designed shape to eliminate handle twist. High lift for extra knuckle clearance and optimised handle angle to reduce wrist strain. Each blade has been individually set by a craftsman for optimum performance. 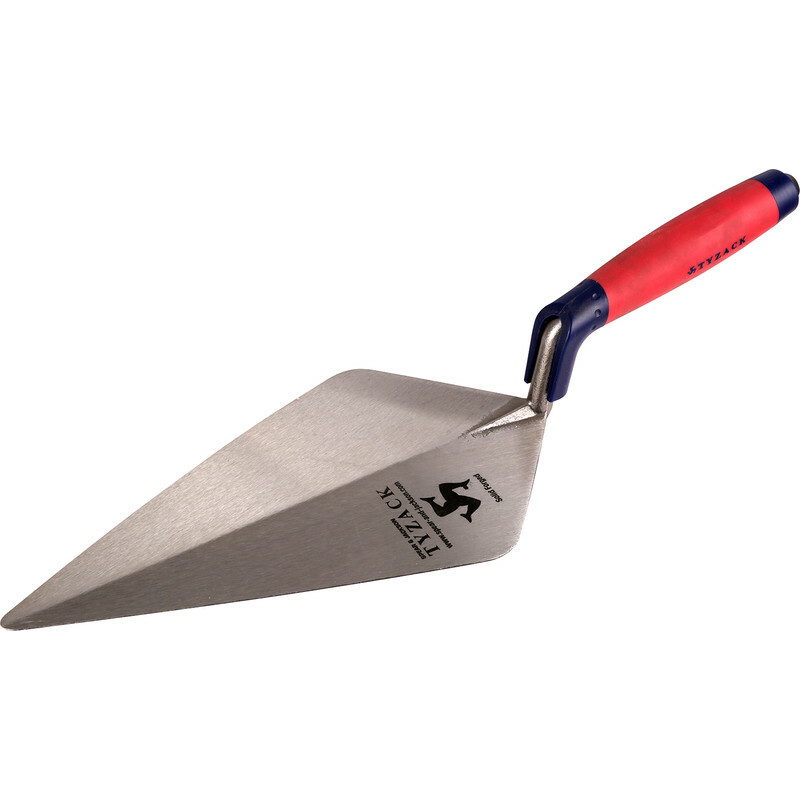 Tyzack Broad Heel Trowel 11" is rated 5.0 out of 5 by 1. Rated 5 out of 5 by Heritage from Nawghty Very nawghty I must say, good grip I couldn’t let go. Very pleased with the purchase tyzack all the way.